The most comprehensive real-time electricity monitor on the planet is now available in the Philippines. Introducing The Energy Detective – TED. 1. 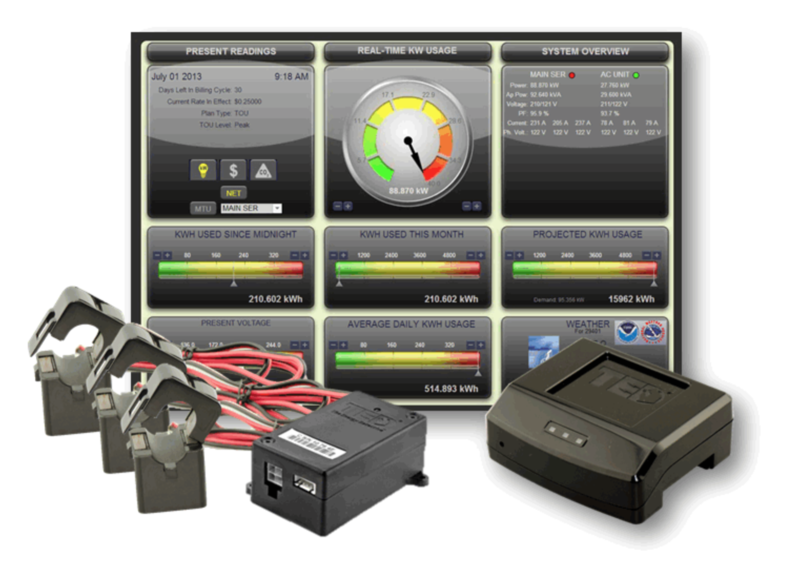 Monitor your office/retail store/warehouse or factory’s electricity consumption in real time. 2. Compare actual energy usage with your utility’s monthly billings. 3. Find out how much electricity is being used throughout the day. 4. Find out if there are illegal connections to your electric lines. 5. Find out which of your equipment/appliances is consuming the most energy. 6. Conserve electricity and save money based on the data collected. TED Pro 400/800/1200/2000 w/ Coils /5000 w/ Coils also available. Electricity travels from the utility to a facility’s meter, where the utility measures the amount of electricity usage. Electricity then flows into a building’s breaker panel through two (residential) or three (commercial) main incoming conductors. Inside the breaker panel, Current Transformers (CTs) are clamped around the main incoming wires to provide an accurate electrical reading of the amount of electricity the building is using. TED’s clamps are sensitive to one watt with a +/- 1% accuracy. Inside the breaker panel, the CTs are directly connected to a Measuring Transmitting Unit (MTU). The MTU sends the data via Powerline Carrier Communication (which travels over the existing power lines) so no additional wiring is needed. An Energy Control Center (TED Pro Series) or Gateway (TED 5000 series) is the data-receiving hub that analyzes and stores real-time electricity data. This device is embedded with Footprints data-logging software and can connect to any computer or router. Real time data can be viewed online in a sleek and friendly user interface using your secure account details. Complete with historical data. TED Pro series is a state-of-the-art system designed for commercial and light industrial electricity monitoring. Designed for three phase electrical systems that have breaker panels 5,000 AMPs or less, TED Pro is helping businesses around the world lower their electricity bill. 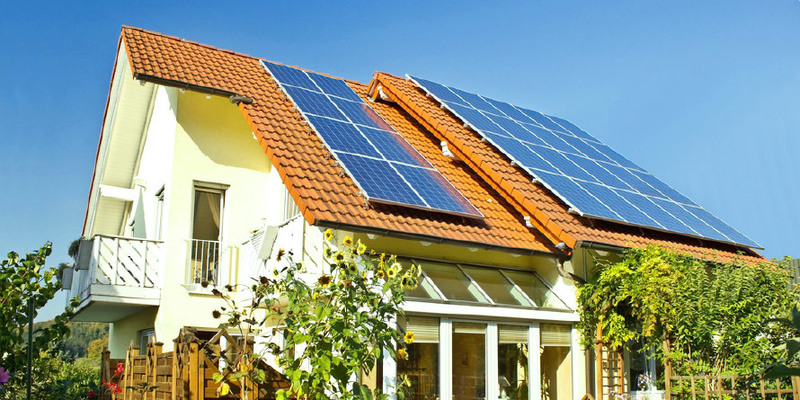 Perfect for homes with Solar or Wind power systems or even gas powered generators. See how much your solar or wind power systems are producing in real time too! Real Time Electricity Monitoring Starts Today!